People have had all kinds of questions about my experience at the Virginia Senate. Did my prayer include Marvel characters? How’d I feel about the separation of church and state? Was I going to run for office? Did I deliver my ‘message’ or speak to my ‘platform’? My experience was amazing, and I’d encourage clergy everywhere to step up when the invitation comes. I prayed what I thought I should given the context, and the ecumenical nature of those gathered together. There were the forty senators, forty-two pages, members of the clerk’s office, staff, several school groups, VCU basketball players, family, and friends. And God was invoked there – God’s presence was acknowledged! It was an opportunity to worship, and an opportunity to serve my community. How could those things not be edifying? So, here’s my invocation – delivered in the mandated less-than-a-minute timeframe! And ask your blessing today on those gathered here. And make us stand tall with the knowledge that you have called us to do this work. Grant us courage to share our voice without fear of repercussion. And hearts like yours for reconciliation, justice, and peace. And our world would be a place where all have enough. Amen. 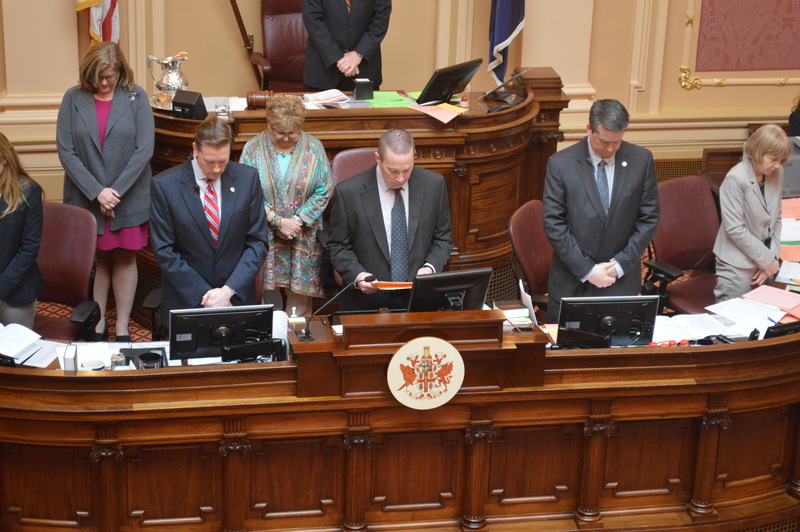 This entry was posted in Current Events, Theology and tagged Clerk's Office, General Assembly, Invocation, prayer, Virginia Senate. Bookmark the permalink. Thanks, Jack- it was a high honor. I’m more of a words than pictures guy anyway — You just have Sally let me know 😉 You’ll probably outlive me anyway!